If you have ever taken your family camping, you know there is a lot to pack. Food, clothing, activities, and so much more. Similarly, truck drivers must understand the items needed on the open road. This knowledge is shared from driver to driver. We then add to this wisdom from our own experiences and personal needs. For example, a long-haul driver operating from coast to coast will need different resources than a local driver who is home most nights. 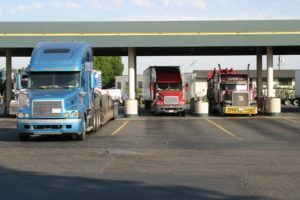 Drivers need to be prepared for delays due to weather, inability to get loaded or unloaded, breakdowns, inspections, fatigue, and even sickness. 1.An emergency preparedness kit. It is sometimes difficult to predict what we will encounter on roadways. As a result, the emergency kit should contain extra batteries, gloves, a flashlight, a sleeping bag, winter clothing when in season, non-perishable foods, extra medication, an extra pair of prescription glasses, a basic tool kit, duct tape, spare bulbs, jumper cables, extra fuses, bottled water, a foldable shovel, window deicer, emergency flares, an extra cell phone charger, and a first-aid kit. 2.Extra money. If your credit card quits working, you lose your wallet, or the store’s power is out, a few hundred dollars tucked away in a safe place can come in handy when you need to spend the night or purchase provisions. 3.Keep your food cold. If your truck is not equipped with a refrigerator, an insulated cooler is important in preserving perishable food items and keeping your drinks cold. 4.How are you cooking? A lot of drivers used to use little propane stoves to prepare meals in their trucks and save money on food costs. My preference is a microwave, which many trucks are now equipped with or have a converter or an APU. A microwave can make a big difference in comfort for a long-haul driver. 5.Another alternative is a slow cooker. Meat, potatoes, and fresh vegetables can be a satisfying end to a long day. A slow cooker allows you to prepare your own healthy food with minimal effort. However, make sure it is secured so it does not cause injury in the event of a sudden stop. 6.Food for truck drivers is no longer one size fits all. Many cultures and tastes influence our food choices. I chose to stock up on items that remained safe at room temperature and could be easily prepared, such as granola bars, bread, peanut butter, jelly, apples, bananas, nut varieties, deli meat, cans of soup, and water—lots and lots of water. There are a lot of healthy choices out there. Google and decide what works best for you. 7.Paper towels and wet wipes were essential items for me. They can be used for maintaining personal cleanliness, as a cleaning cloth in the truck, or as a rag to complete an unexpected repair. 8.Extra clothing. You will need several changes of clothing, depending on the duration of your trip. I found that extra socks, underwear, gloves, and footwear could make life much more comfortable in unexpected events such as weather and breakdowns. 9.Personal hygiene items, including deodorant, toothpaste, a toothbrush, a comb, mouthwash, and floss. 10.Know where you are going. A motor carrier map can prove very helpful in arriving safely to your destination. Understanding your route options and identifying toll roads, inspection stations, and roadway and bridge restrictions can prove invaluable. Personally, I used a trucker’s road atlas first and GPS as a second referral only while driving. 11.Stay warm and pack essentials. If you have ever been really cold and alone, you will identify with why I also kept a small propane heater stowed away. The same holds true for a portable toilet. Whether trapped in a traffic jam or in a remote location, having extra toilet paper and a clean portable toilet can bring a lot of comfort in those emergency situations of life on the road. When you are stopped, take some pictures to share with family and friends, and remember to take the time to enjoy your trucking experience—appreciate the sunrises and sunsets, the old barns and cattle grazing, and the mountains you encounter along America’s roadways. Cliff J. on August 15, 2018 in Trucker Focus , Acuity. 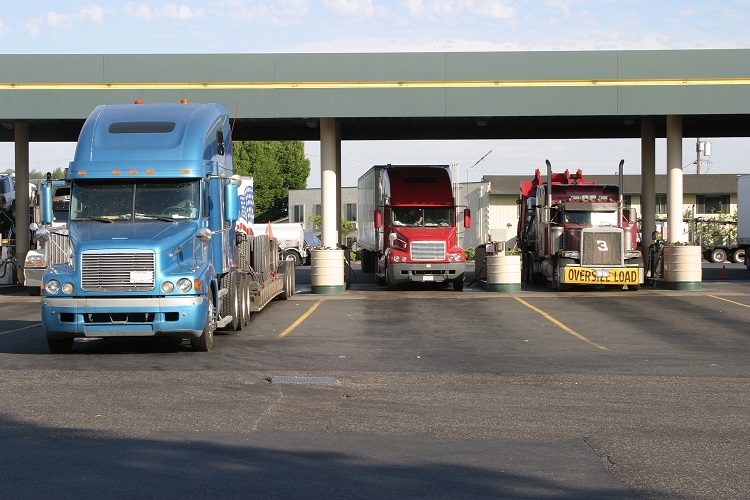 Interested in an insurance review and competitive bids on your Trucking Operation? Call Beck Insurance Agency at 419-446-2777, send an email to joe@beckinsurance.com , or click here.